Reason for treatment: Acute pain. Recently, several new ceramic materials were launched in the market due to the growing demand of safety and aesthetically pleasing prosthetic solutions. 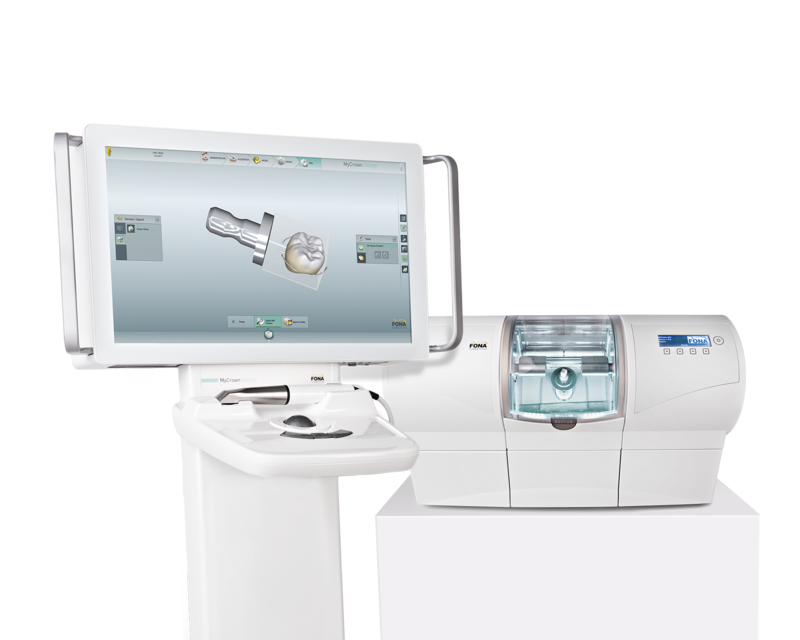 CAD/CAM chairside technology has been developed with the aim of manufacturing prosthetic structures with characteristics of constant quality. CAD/CAM technology not only offers the possibility of directly designing a restoration on a computer and automatically obtaining the final product, but also offers many advantages compared to the conventional techniques in terms of speed, precision and ease of use. 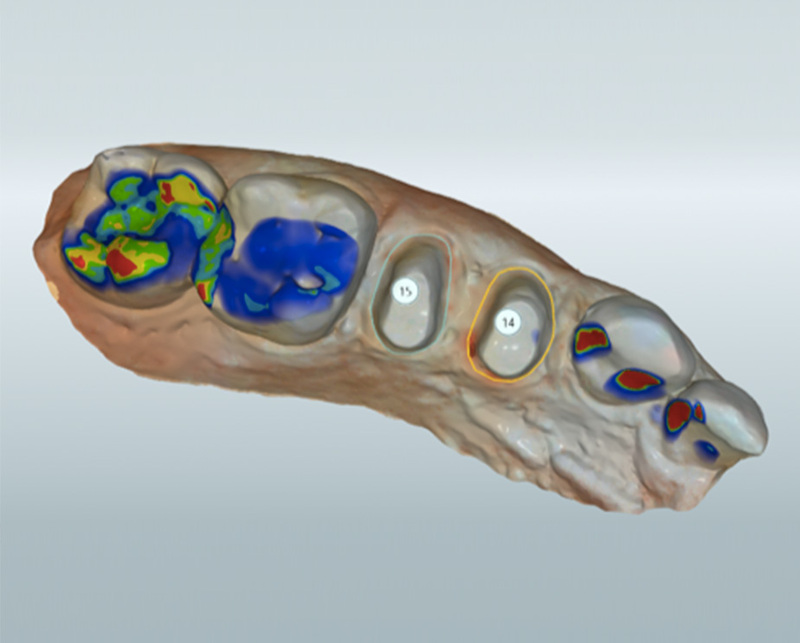 The following case shows how MyCrown CAD/CAM chairside can change traditional dentistry by opening new ways of solving for both aesthetic and health issues. A 52-year-old woman came to my practice due to acute pain in the region of the first quadrant. After a careful, intraoral and radiographic objective examination, we diagnosed destructive caries of teeth 14 and 15. 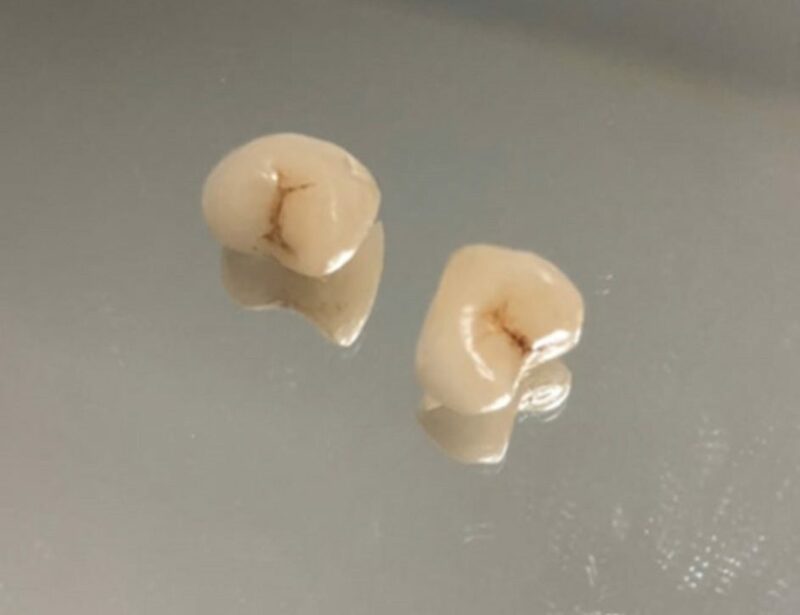 In the first instance, we performed root canal treatment of the teeth and consequently reconstructed both of them with Fiberglass Posts and covered them with ceramics manufactured with FONA MyCrown CAD/CAM system. In order to perform the endodontic treatment, we used glasses Zeiss 4.3 x 400. 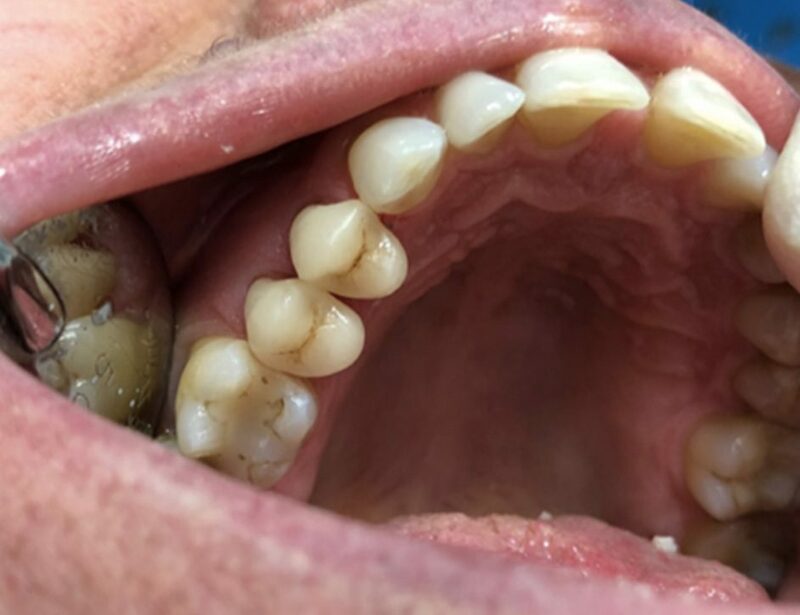 The canals were treated with a protocol, which involves washings by using NaClO and EDTA, while for shaping the canals we used instruments Ni-Ti Protaper gold and, in order to seal them, gutta-percha, associated with the use of pulp canal sealer. 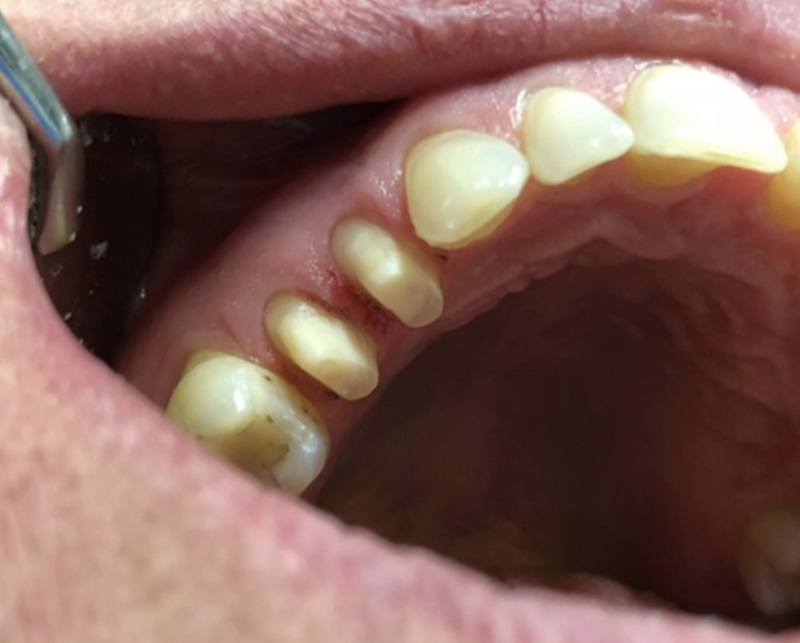 After the root canal treatment, a portion of gutta-percha, 8mm deep, was removed from the canal and the dentin was etched with 37% orthophosphoric acid for 30 seconds and washed with water for 30 seconds more. Afterwards, we inserted the fiberglass pins inside the canals and we cemented and reconstructed them with Relyx Unicem. Subsequently, the teeth were prepared with gingival chamfer Iuxta. After the shoulder preparation, we moved on the treatment with MyCrown. 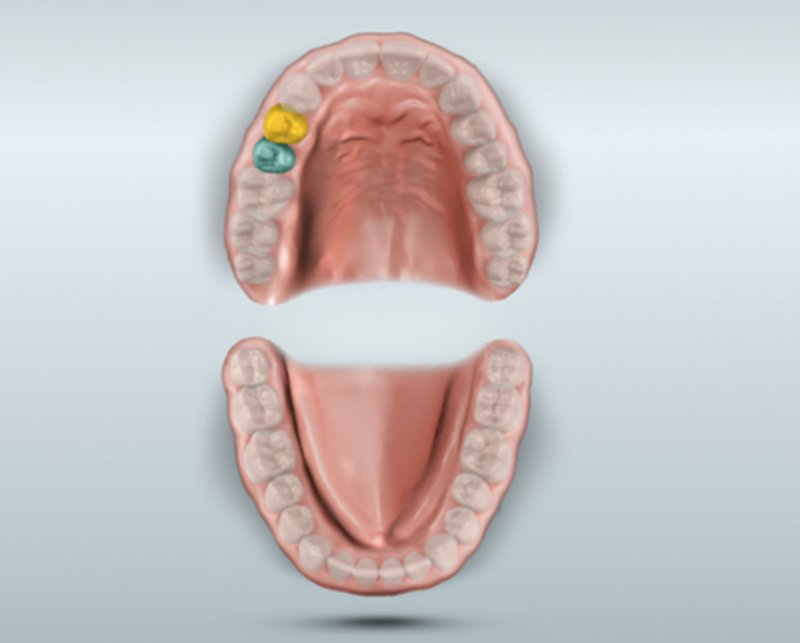 Thus, an OptraGate-type dam was positioned in the mouth of the patient and some dry tips were used in order to control the salivation coming from the Steno Duct. Later on, HD Spray was applied and the scan with MyCrown Scan camera started. First, we scanned the stumps, then the antagonists, and finally we proceeded with scanning the vestibular area, with the teeth in position for maximum contact. After correlating the models with the software, we started tracing the margins. 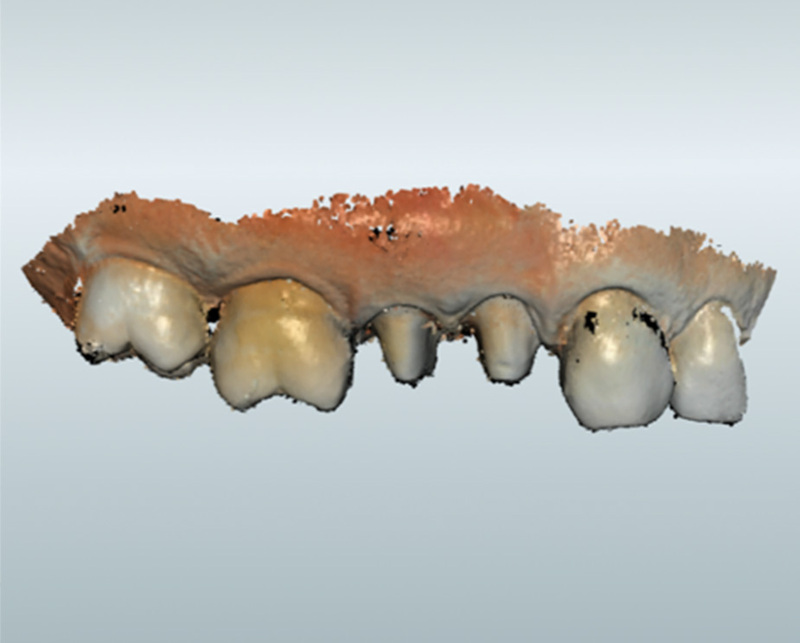 Moreover, after the definition of the insertion axes, MyCrown Software gave us its design proposal of the crowns. 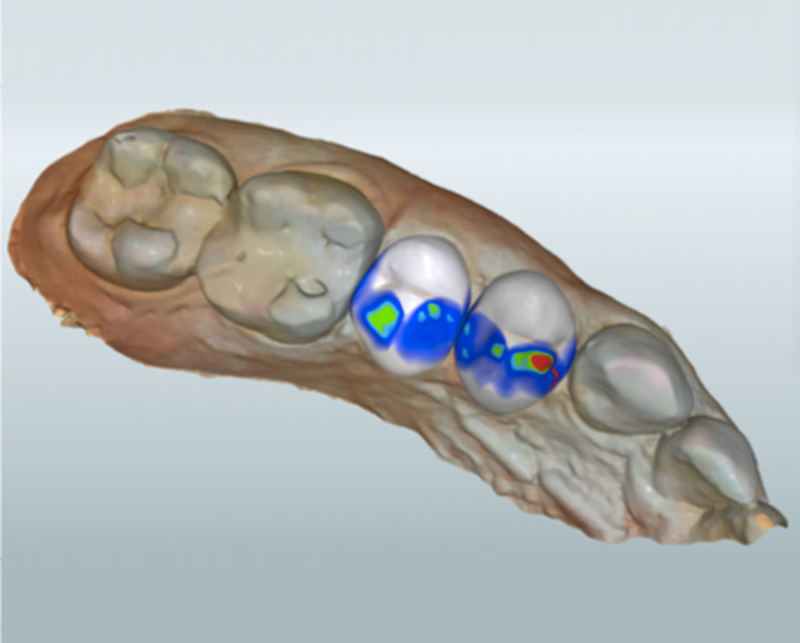 Obviously, software proposal of the crown design is based on the anatomy of the other teeth of the patient. This does not prevent us from modifying the tooth anatomy based on the neighbor and antagonist teeth. 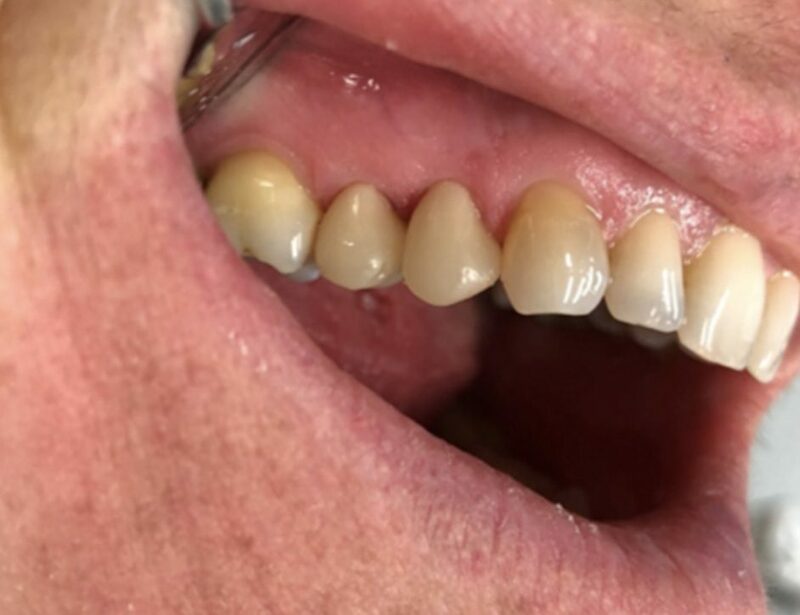 Later on, after checking the contact points with the neighbor teeth and the occlusal contacts with the antagonists, we were able to proceed with the manufacturing phase. Once the milling process was over, we moved on to polishing and painting of the brand new crowns, in order to make them look like real teeth. 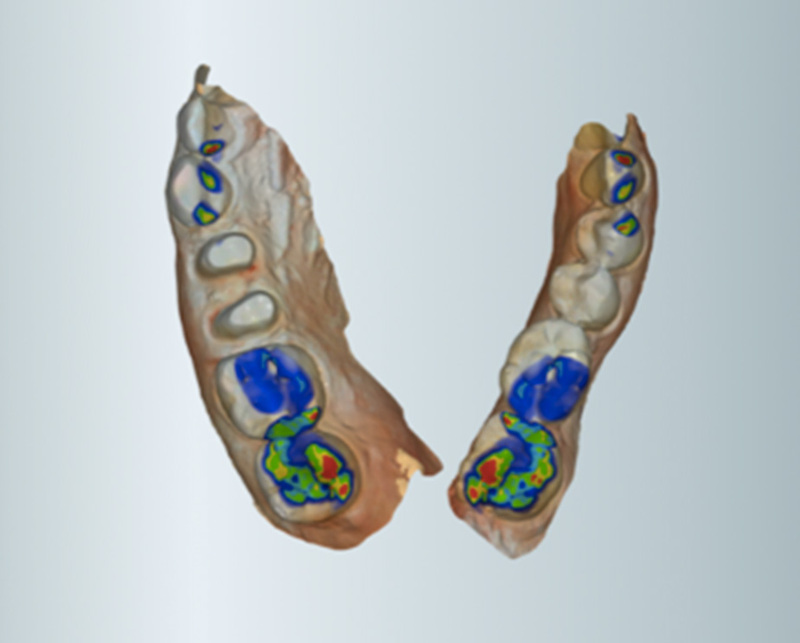 This clinical case demonstrates how fast, easy and precise it is to work with FONA MyCrown CAD/CAM chairside system. The woman needed surgical intervention because of a severe pain and after only one visit she went home relieved from this pain and with a perfect aesthetic result. All this has been done with absolute safety and efficiency, without loosing time. 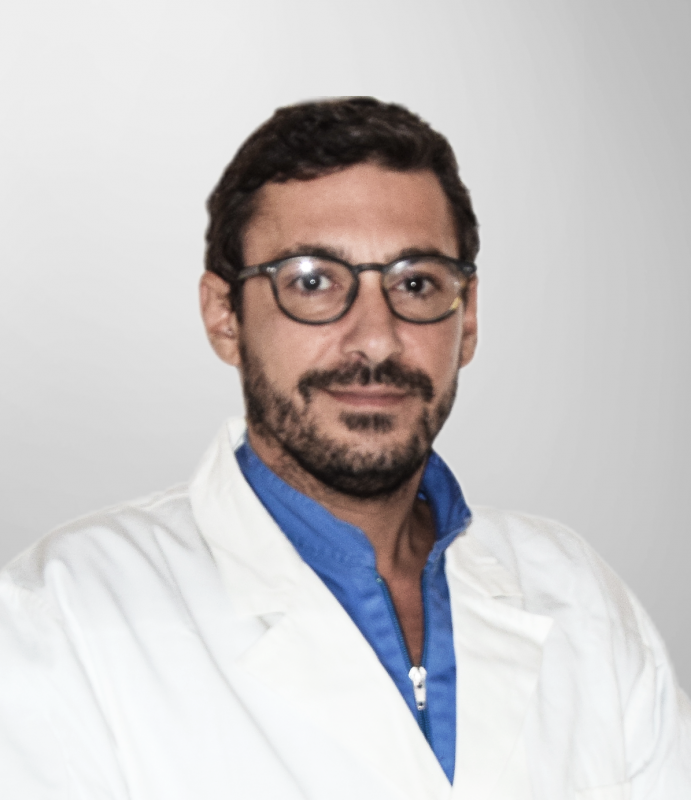 He graduated from the University “Seconda Università degli Studi di Napoli” in Naples in the 2005, achieving a degree in Odontology and Dental Prosthesis. Interested in surgery, implantology, conservative, and endodontics, as well as fixed and mobile prosthesis and preventive care. Since 2009, he is working in his two offices in the core of Milan. If you would like to send us your feedback or inquire about becoming a FONA Innovation Club member, do not hesitate to contact us.